According to organizers, the gathering is meant to send a message to the world: "Free Gilad now". Speeches will be given by Noam Schalit and the mayor of Rome, and pictures of Gilad will be screened. 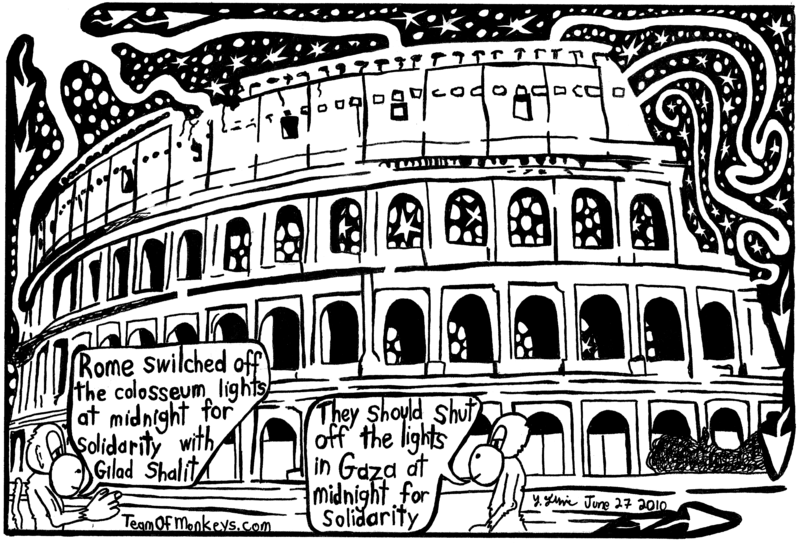 At 11 pm (midnight in Israel) the lights of the Colosseum will be turned off. "We immediately launched the campaign for Shalit because we feel the burden of anxiety”, the President of the Jewish Community of Rome, Riccardo Pacifici, says.